GUTTERS AND DOWNSPOUTS PLAY AN IMPORTANT ROLE IN PROPER DRAINAGE OF RAINWATER. 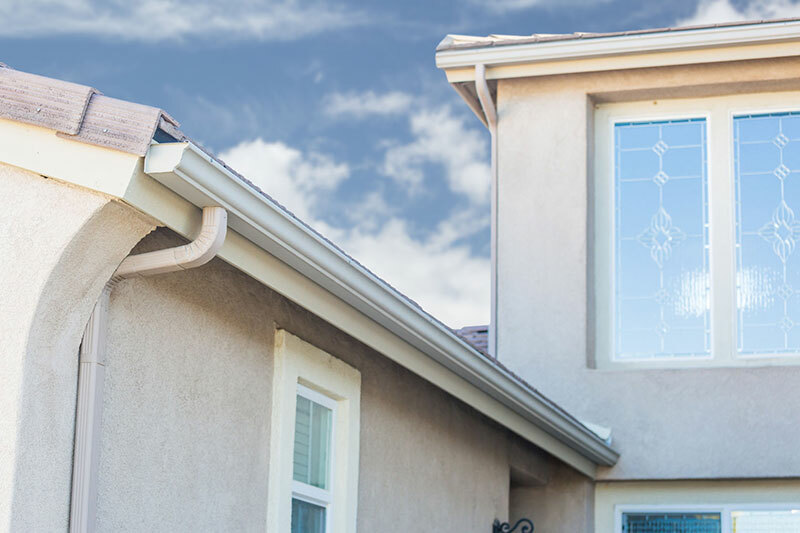 Without gutters, you are risking the potential of rotting siding, windows and foundation seepage. We install seamless aluminum gutters with downspouts, the most efficient system for residential homes. Our seamless gutters will give you a much cleaner look and reduce the chance of leaks. We also offer a variety of gutter guard systems, to keep you gutters from getting clogged and preventing water from backing up.